Freshman year of high school I was forced to take an elective...I can't remember if this was my parents, or my guidance counselor, or just me putting off taking that third .5 phys ed credit...and it was a class billed as something like "Business Systems & Technology" something like that. I had a copy of my high school transcript for the longest time because I didn't apply to a 10th university as originally planned, but that seems to have been lost in the wind over the last few moves, so I can't quite recall how it may have been listed. On the first day of classes, I knew it was a joke. We were in a media room on the second floor of the 500-block. The classroom was filled with 10-year-old computers (in 1999) and the class was taught by a man in his mid-forties who gave the impression that he did not understand computers at all. This was explicit on the second day of classes when he expressed the need for assistance in actually setting the computers up so that they were functional for the purposes of the class. World??) it was all me. It's also worth pointing out that this was my first day in a new school where there were a total of five people that I knew from my last school. One of them was in this class, but we weren't friends. And everyone else in the class came from a lower income demographic than I did, so they were pretty useless when it came to computers, too. 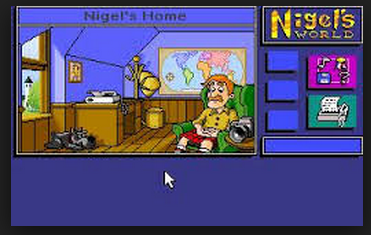 So I guess it fell to me - between actually knowing a thing or two more than the teacher, and wanting to feel occupied when I had no friends to talk to - to set up the computers for the class. I can't say it was much use, though. In the course of the entire school year we did little more than speed typing tests. Over and over, drilled into our heads, one space after commas, two spaces after a period. Over and over. What the teacher certainly didn't comprehend is that those rules we followed in those speed typing tests were archaic. 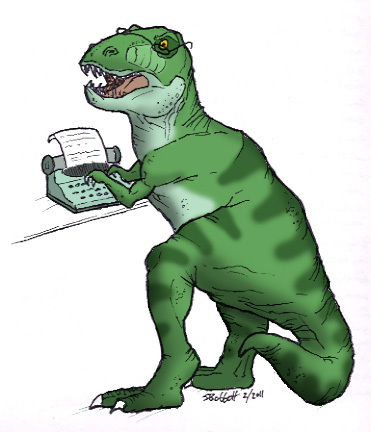 A dinosaur at a manual typewriter in 1965 might approve, but no one with any sense of typographic rules in 1999 would have. And that's why I love this article from Slate.com that someone posted on Facebook earlier today. The article might be a few years old, but the facts remain the same.